COSLHS’s Archery program supported the Randolph County JAKES Day on Saturday, August 18th. 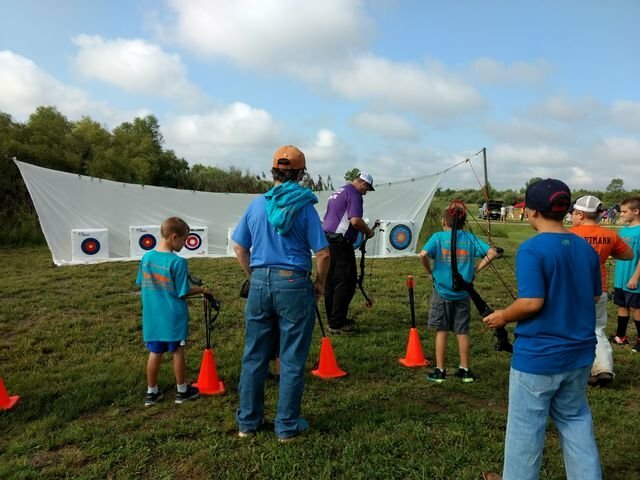 Coaches Robert Rahlfs and Michele Christman, with the help of COSLHS archers Megan and Samantha Schulte, helped area kids experience archery. The fundamentals of safety were taught and then the youth were about to shoot several rounds on the target range. About 70 kids and their families participated in the event.